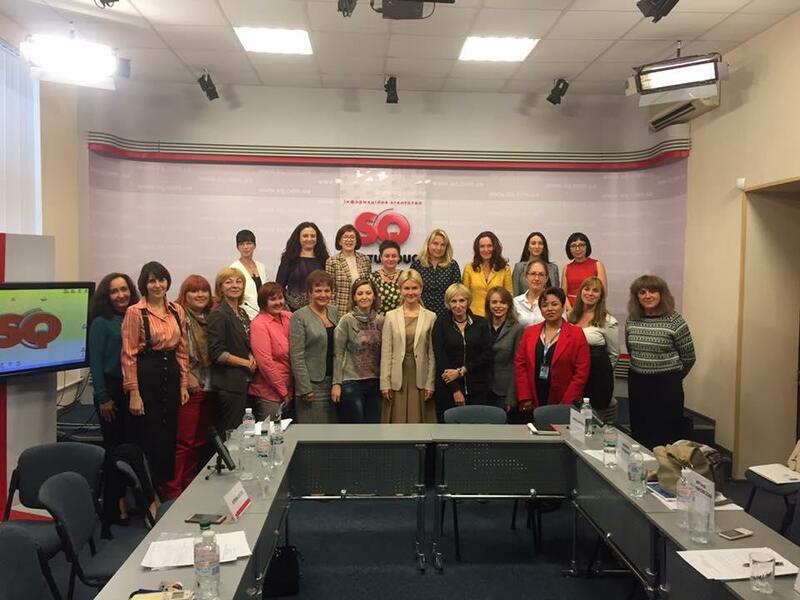 A Round table with the subject “Gender stereotypes: “Leave cannot be broken”- where to put a comma?” has been organized by Kharkiv regional state administration on 15.09.2016 at Press Centre “Status Quo”, Kharkiv (Ukraine). On the 15th οf September, the EQUAL-IST project was presented on the round table “Gender stereotypes: “Leave cannot be broken”- where to put a comma?”, organized by the Kharkiv regional state administration in Ukraine. The Objectives of the Event were to discuss gender stereotypes, gender communications, gender discrimination on the labour market, women’s business activities, discrimination in education and science, gender equality in politics and to elaborate some specific steps and decisions at the local level that are necessary for the deconstruction of gender stereotypes and overcoming discrimination against women. Regarding the Participants, they were Heads of the Kharkiv regional state administration, seven experts and 20 representatives of NGO’s, universities, schools, medias, local government institutions etc. As for the targeted audience, they were citizens of Kharkiv region – representatives of local communities NGO’s, universities, schools, medias, local government institutions etc. The event’s website can be found here.